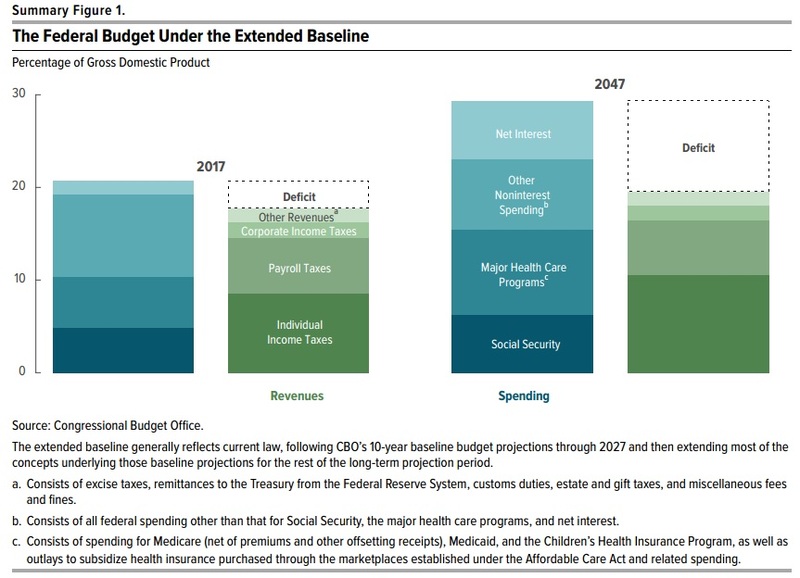 At International Liberty, Dan Mitchell lays out six charts from the CBO that make the case that America’s entitlement programs are the Titanic, after it hit the iceberg, but people are still getting on board. Even though they know the ship is going down, they’re more interested in the promise of fancy buffets and free drinks, writes Mitchell. I sometimes feel like a broken record about entitlement programs. How many times, after all, can I point out that America is on a path to become a decrepit European-style welfare state because of a combination of demographic changesand poorly designed entitlement programs?